The harder part is to hold it, the rest is a mental convention case (see "letter to Robin"). In General, the markers list is provided with your antenna when you purchased it. In case you can see the list of values on line for a 18 cm classic antenna. The first exercise is the search of the North, this is the simplest and most effective exercise. I still use it, in order to know if I am "sync" for a search. Indeed, if I can't find the North of a place there strong chances that I am not able to find anything. Take a compass, and hide it in your pocket without looking at where it points. Watch on your list of values to magnetic north, it is written 5.7 cm, so move the cursor of the antenna to 5.7. "Where is the magnetic north at this exact moment." and then move yourself in a circular way, gently (clockwise sense for example), holding the antenna in front of you. We are speaking here of the magnetic North, this is important to keep that in mind to avoid to point towards a Mr North that could be your neighbor. We also specify the time: at this exact moment, it is an important precision that it is preferable to add to its questions. When you'll enter in the axis of the magnetic north your antenna will become heavier, which will make it fall forward (or backward, it can also thrill depending on the way you handle it). Take a fixed marker, away and big enough like a tree, a house, a mountain..., this marker represents the direction that was "shown" by your antenna, it magnetic north should be in that direction that. In order to be sure that you do not commit error, replay step 2, 3 and 4, several times and change sense, a shot in the opposite direction (in the clockwise direction), until you get the same benchmark every time. Pull out your compass (but keep your place, do not move) and put it on your antenna. If it is indeed the magnetic north you find: it is very good!. Are you certain that your compass works?. Are you sure that the place you are standing is eletromagnetic neutral. Indeed if this is not the case, the compass will give you a false information, you may be good, repeat the exercise elsewhere. Among all times where you have replay steps 2 and 3 there was one of benchmarks which was valid, then retry and try to feel in your hands when the antenna reacts. If you have found the magnetic South, you lack of concentration, but it is not a bad result. this network is the most famous of all, it wears the name of the man who discovered it, the Dr Ernst Hartmann, it was discovered at the beginning of the 1950s. It is also known as global network or universal network because it covers the entire surface of the planet. This is a network considered as telluric (coming from Earth). fine bands oriented North-South and East-West 21 cm wide. Some mesh can be distorted by electromagnetic interference. Before starting the researh, find two a minimum of 2 large meters in wood and a compass. Watch on your list of values, move the slider of the antenna on the 12.0 mark. Place your compass on the ground and make it point to the North. Verify that the North of the compass is correct, in apartment is not uncommon that the reinforced concrete generates strong magnetic disturbance. We are in a school case, where the Hartmann network is parallel to the North and West, in reality, especially in a place inhabited / electrified / furnished it is rare to find such a situation. In this research, we look for the Hartmann network at its ground-level (width and length axis). Caution, the network can also have different positions on the height dimension. "Where is located the Hartmann network at ground level and at this exact moment." 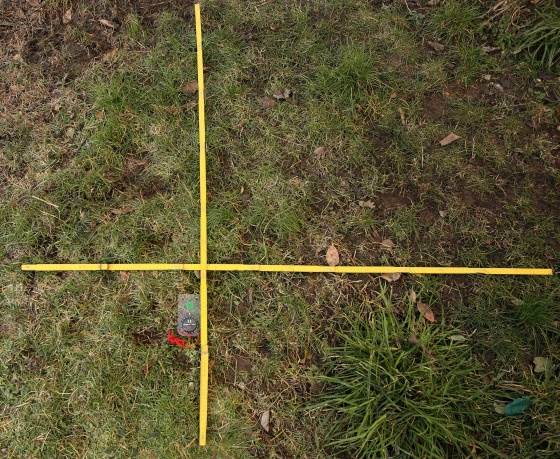 It is important to specify the ground-level because the field can be located in another location at an other height. According to the network that you are looking for walk perpendicular to its theoretical orientation. Walk gently side way taking the antenna in front of you (walk from right to left, like crabs). You can also walk among walls of the room where you are. Here we will begin moving following the North-South axis. When you will cross the Hartmann network your antenna will become heavier, which will make it fall forward (or backward, it can also thrill depending on your way to handle it). In order to be sure that you do not commit error, replay steps 3, 4 and 5 several times, but changing direction (right to left and left to right). You should get a different result because the Hartmann network lines have a wide of 21 cm, you should therefore find the right side and the left side of the line. Place one of your meter at the center of your two guides obtained earlier and on the ground. 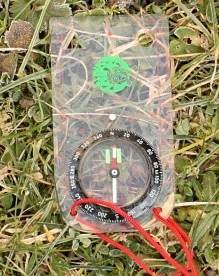 Use your compass (East-West or North-South according to your research axis) in order to place your meter straight. Replay steps 3, 4, 5, 6 but walking East-West. This time, you can walk near the meter you already put on the ground. Replay steps 3, 4, 5, 6, 7 in order to obtain a network, each crossing will form a node. Are you sure that the location where you are standing is electromagnetically neutral. Indeed, if this is not the case, the compass gives you a false information and in this case it is very possible that the network is deviate or cut, you may be right, try an another location. You can use this exercise for all kind of network. The concept of energy is the more blurry thing that can exist in dowsing. This is why we will define the perimeter and the scale that will be used. The perimeter: in the example, we will measure the average energy level of a person (which will be the operator) with on clearly stated time scales. the value of 0 represents the nil or non-physical existence. The value 6500 represents the physical neutral. Among 1 and 5500: the person has a serious illness. Among 5501 and 6499: the person has a small disease or is tired. Among 6501 and 7000: the person is in good health. Among 7001 and 9000: the person is very healthy. Among 9001 and more: the person is very healthy and has gifts of healer. a scale value is simply numbers with upper and lower limits, it must be set before a research. All dowser do not use the same terminals or the same values, so to compare your values with others, always start by comparing your scales. In all cases if the target does not belong to you or is not a part of you, always ask the authorisation before starting your search. Look at your list of values, move the cursor of the antenna on 16.4, the Guide frequency. This frequency transforms your antenna in a pendulum. Click on the image in order to print the bovis scale. You can add marks above 12000. Using a drawing software (Paint .NET or others) you can draw your own scale with your own values. "What is my average energy value between 1 pm and 2 pm today." It is important to indicate average because the energy level of your left hand may not be the same as your right hand. We also specify the time: between 1 and 2 pm, it is an important precision because your energy level is all but stable. It varies depending on the location where you stand, with the state of your mind (calm, nervous, ...). In my example, I supose time is 2.15 pm. You can change this temporal benchmarks with shorter durations or longer (I do not encourage you to take futur benchmarks ...). and then move gently your antenna slidly and above your bovis scale holding the antenna in front of you. When your antenna will pass above the correct value, it will become heavier, which will make it fall forward (or backward, it can also thrill depending on your way of holding it). To be sure that you do not commit error, replay steps 3, 4 several times, but changing direction (right to left and left to right). You should get close results (may be identical according to the temporal reference chosen) for each try.